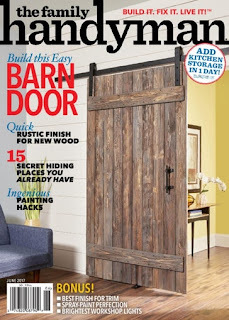 The Family Handyman magazine will help you nail any home improvement project. Complete with accurate instructions from improving your home, yard and vehicle, The Family Handyman is the oldest and best publication for DIY enthusiasts. Accomplish serious DIY projects and repairs with the friendly and detailed advice from The Family Handyman. Featuring step-by-step instructions and how-to photos, this magazine is like having your own personal handyman. Save money and time on your projects and repairs with The Family Handyman. In every issue you'll discover hints, tips and product reviews to help you become a home improvement master. Subscribe to The Family Handyman magazine through DiscountMags to save money on all of your at-home projects.